Cons: worked for some time - was not heavily used. Pros: This hard drive is a relatively cheap 2TB drive. 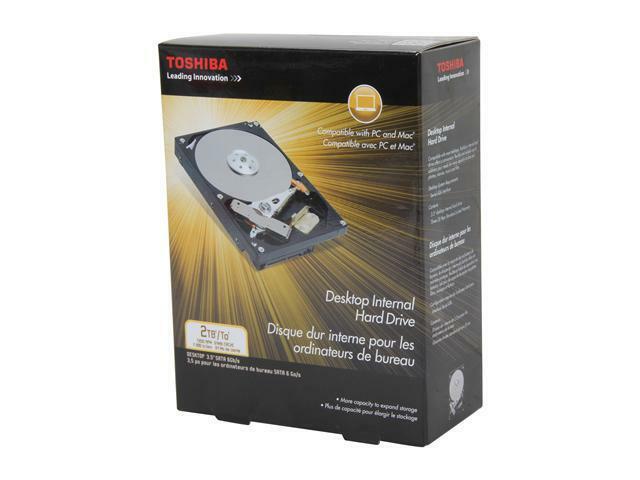 The drive is very quiet, and has high read and write speeds. Cons: -First Drive ordered was DOA. Newegg RMA was great and so far the second drive is doing much better. Other Thoughts: My original review said this drive was slow. I RMA'd the drive and now all problems have been resolved. The drive is very fast. I usually stick with WD Drives, but I was not going to pay $159.99 for a 2TB WD Black. Gave this drive a shot and so far I am impressed. The drive has begun fail. For the past year, it has been powering up very very slowly. It doesn't even power up in some computers. This drive has seen a long life 19,028 Power on Hours; thus the 4-egg review stands. It was a great cheap drive. Manufactured Feb-2013. Cons: failed after 3.5 years info was backed up so 25 bucks a year rental fee I guess. Other Thoughts: Back it up. This drive which is used as a secondary storage drive has developed several bad sectors and slowed to a crawl after 3.5 years. Opening or copying any file stored on the drive has become a waiting game. Running Windows disk check utility (called "chkdsk") to locate and repair bad sectors has been unable to finish running - it stopped with an error message both times we tried it. After chkdsk failed once I opened the case and replaced the SATA cable and tried a different SATA port on the motherboard. Ran chkdsk a second time and it failed again. At this point I gave up and disconnected the drive. The data on it is backed up so no problem there. Gave this exact model 2 thumbs up on 7/26/2013 when we used it in tandem with an SSD and an add-on SATA controller card to form a hybrid drive. For the past year or more we've been using it on its own as a storage drive for our entire music collection ripped from CDs as well as for other stuff. We play a large variety of music almost every day, and i can report that the Toshiba 2TB remains fast and quiet. The retail box version seems to have good packaging, whereas the bare drive version suffered from insecure packing by Newegg's warehouse a couple of years ago. And, let's not forget the 3-year warranty. So many HDDs now have only a 1-year or 2-year warranty, it's nice to see Toshiba still backing this product with 3 years coverage. Cons: FAILED after 3.5 years of use. Not an impressive lifespan! Other Thoughts: We had a couple of old laptops with Toshiba drives in them. They weren't fast (4200 rpm) but they were reliable. This 3.5-inch desktop model has been totally reliable for over 2 years with no dropoff in performance. Let's hope it will keep it up for another 10 years! Cons: Died after 3 years of just lite duty use.....used it in an external storage and just turned it on when I needed to.Then without warning just died.! Pros: Purchased in April 2013, still going strong. Decent speed. I'm quite mobile with my desktop. Large case (NZXT Phantom ). Its seen plenty of bumps from car and walking-carrying travel and wattage surges in multitudes of different houses I've visited or moved into over the years. No issues to date. Other Thoughts: Hope there's a 3TB version. Me want. Cons: For a slow drive I expect more than 2 1/2 years of operation. Its slow and didn't last very long with very light use. Go with a better brand.